The northern stream of a large piece of energy will dump several inches of snow in parts of Minnesota, Iowa and Wisconsin. As moist gulf air streams north into Wisconsin, just enough cold air will be in place to produce accumulating snow. Northern Wisconsin will see the area of largest deformation and consequent moderate snow, 3-5" with an isolated 6" amount is likely. A wintry mix or all rain can be expected points south. 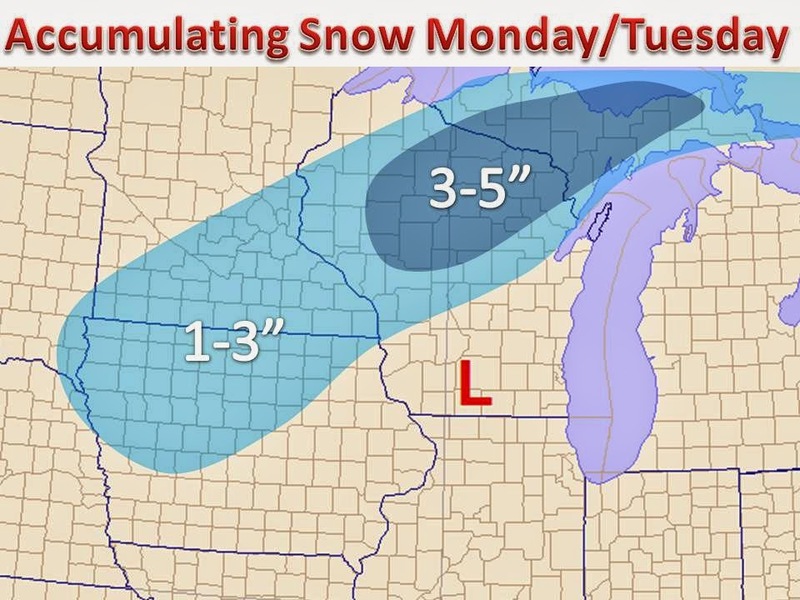 A larger winter storm will impact the Midwest Christmas eve! An update will be posted latest today.